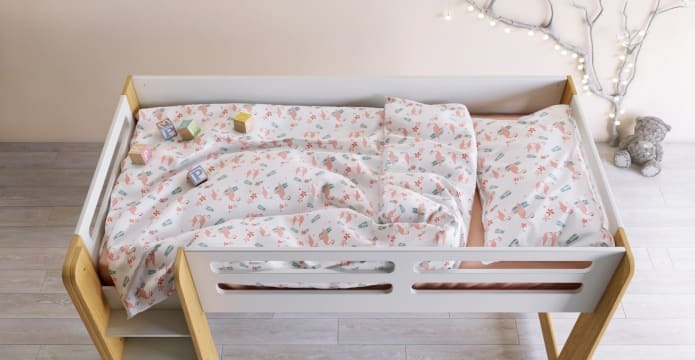 Colourful and vibrant, the Flamingo Fun Kids Duvet Cover Set brightens up any bedroom. 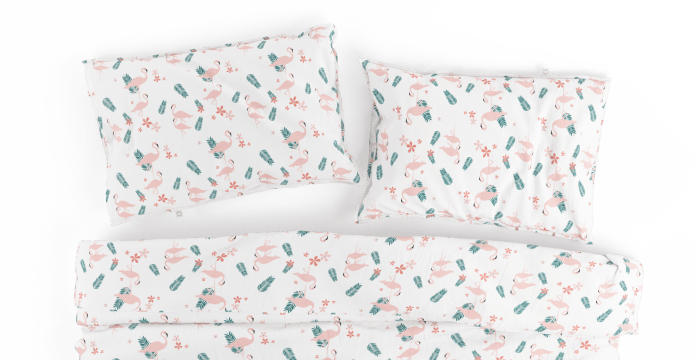 Perfect pink and grassy green combine in this playful print. 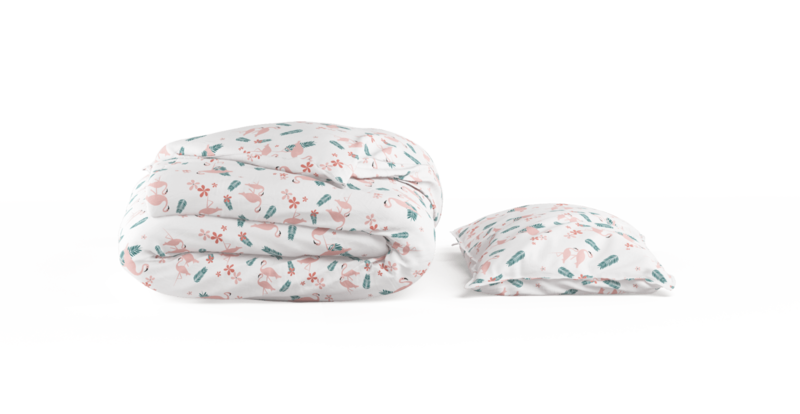 Made for kids, match it with the Flamingo Fun Kids Standard Sheet Set. This set includes a Duvet Cover and two Standard Pillow Cases (one for Single Set). 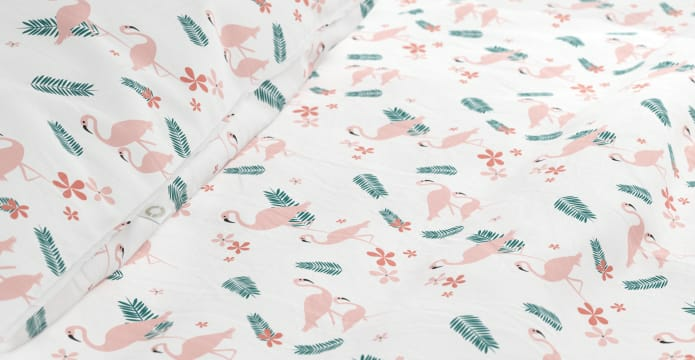 The Flamingo Duvet is made from 100% cotton. This clever natural fibre is breathable. It also regulates body temperature, ensuring a peaceful sleep. This 400 thread count duvet balances silky softness with cosy thickness. We’ve used premium cotton fibres, which will grow softer with each wash. This duvet is an instant mood booster. Transform a room into a tropical retreat with this pretty pink design. Available in two sizes. See more from our Bedding Collection.